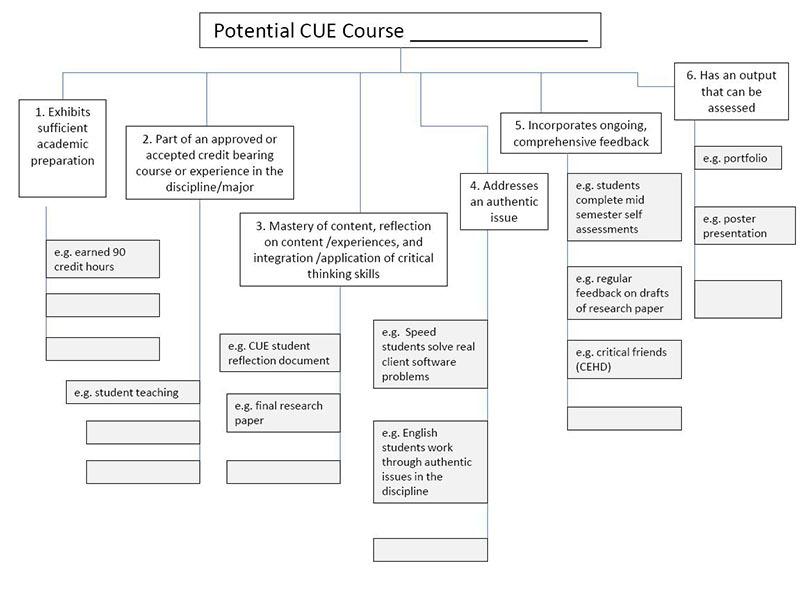 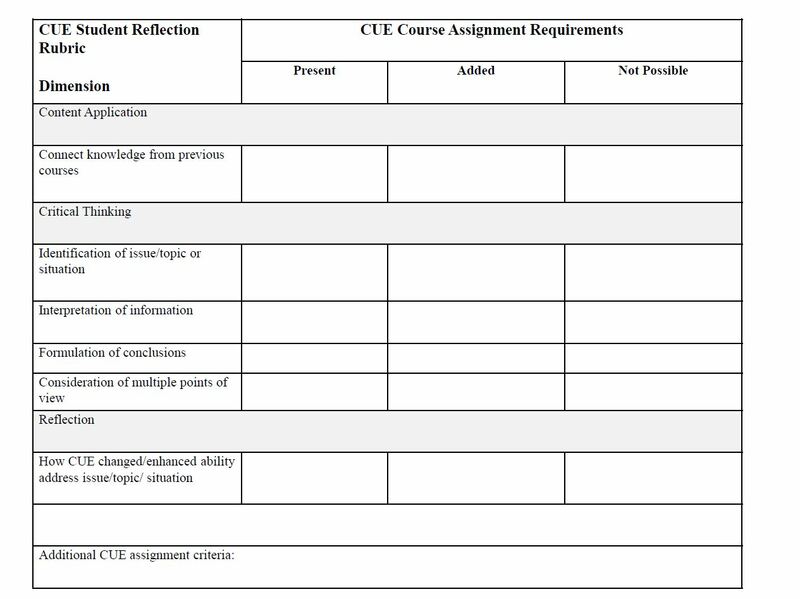 These tools are intended to assist faculty, departments, programs, and units in "thinking through" or "translating" the CUE defining features in relation to courses, experiences, and Student Learning Outcomes (SLO’s) within the program of study. 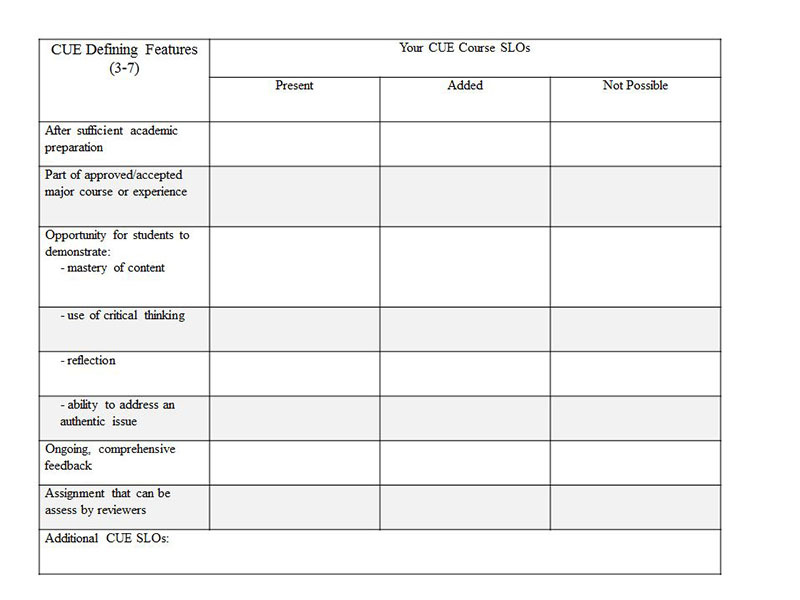 Download Matching Matrix - SLO's with CUE Defining Features [PDF]. 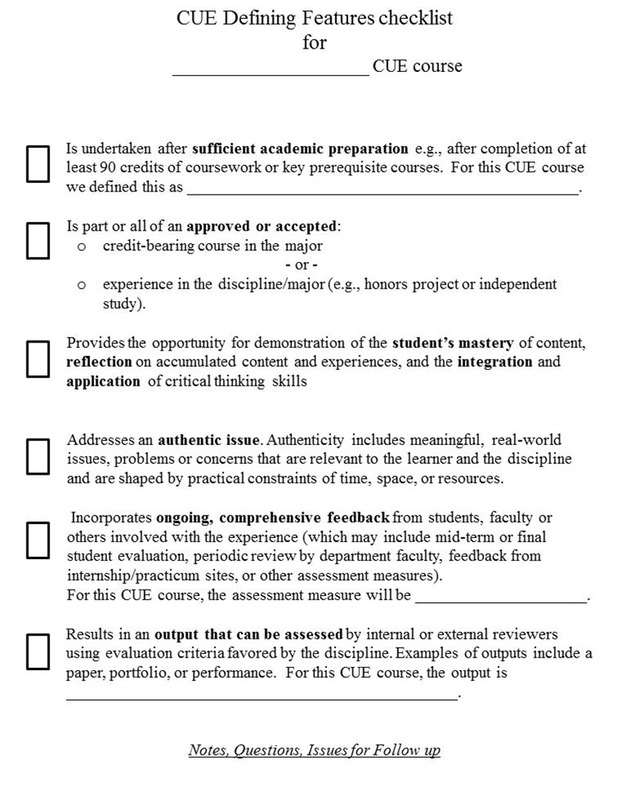 Download Matching Matrix - CUE Student Reflection Rubric [PDF].